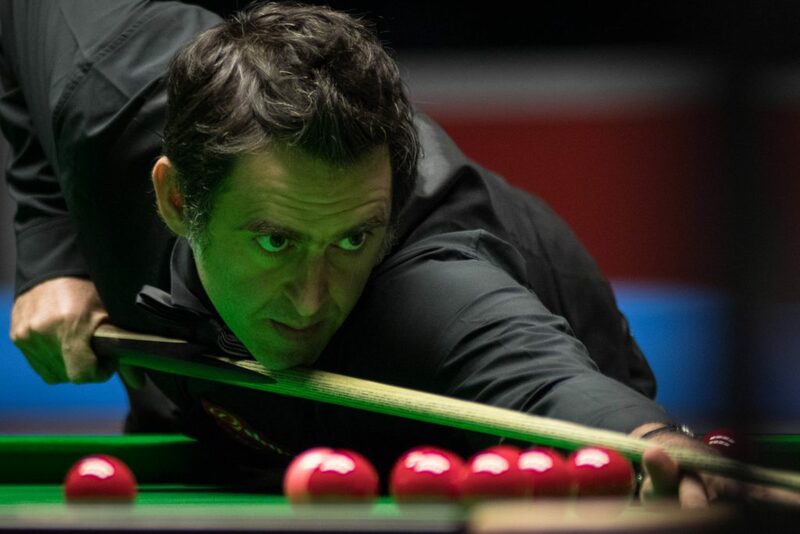 Ronnie O’Sullivan showed no signs of a let up in form following his win last week in York, dismissing the challenge of Michael Georgiou 4-1 to progress on day two of the Dafabet Scottish Open. The Rocket’s 10-5 win over Shaun Murphy on Sunday sealed a historic UK Championship victory. It saw him win the event for the sixth time and move level with Steve Davis on UK titles, as well as equalling Stephen Hendry’s record 18 Triple Crown wins. This afternoon Georgiou had led 52-0 and 42-0 in the opening frames, but runs of 68 and 57 from O’Sullivan saw him overturn the deficits to lead 2-0. He moved a further frame in front before Georgiou pulled one back. However a sublime run of 136 saw the five-time World Champion through as a 4-1 winner. Afterwards O’Sullivan said he was pleased with his record equalling feats in York, but admits he is looking forward to the break in the season over the Christmas period. O’Sullivan said: “Stephen Hendry is a hero of mine and so is Steve Davis so to equal their records is nice. I’m not driven by it though. Shaun Murphy suffered a shock 4-3 defeat at the hands of world number 63 Daniel Wells. The Magician couldn’t continue the sublime form which saw him reach his third UK Championship final last week. It was a tremendous victory for the Welshman Wells, who despite having reached the last 16 stage of two ranking events had never previously won a full length match in front of the television cameras. Anthony McGill recorded a resounding 4-0 whitewash over Ryan Day to keep his hopes alive of silverware on home turf. 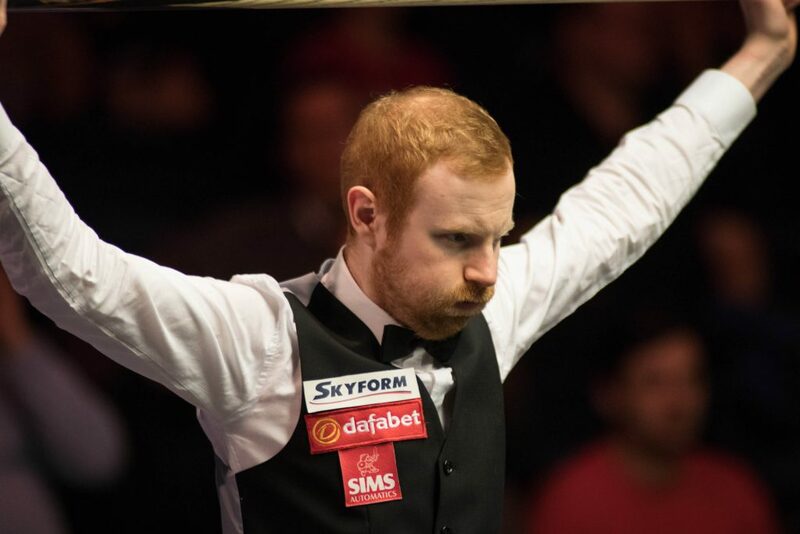 The Scot is enjoying some of the most consistent form of his career this campaign, having reached a final, a semi-final and three quarter-finals in ranking competition. Day can take solace going into the Christmas break from the fact he secured his place at next month’s Masters with a run to the semi-finals last week at the UK Championship. It was 2010 World Champion Neil Robertson who he dislodged. However, the Australian recovered quickly from the disappointment of failing to qualify for the Masters for the first time in 11 years. He defeated Rod Lawler 4-0. Robertson looked to be in fine touch this evening. He compiled runs of 51, 113 and 143 in the win. World number four Ding Junhui came through a 4-2 winner over Jak Jones. While Ding’s compatriot Cao Yupeng became only the third player from mainland China to make a competitive 147 during a 4-0 win over Andrew Higginson. Leicester’s Ben Woollaston secured a shock 4-3 defeat of world number eight Mark Allen to progress to the last 64.